Click on the images to see a larger version. My comments are bound to be incorrect in places, so please send me corrections or more info if that's the case. Keep checking back regularly for updates and more scans. Please do not directly link to these images for your own pages; it won't work. You require my advance permission to use them; please contact me to make arrangements. The artwork remains copyright of the record company. Epic started out in 1953 as a jazz and classical offshoot of CBS although the label wasn't seen on UK releases until the early 70s. With artists ranging from the mighty ABBA to the tiny Sherbert (remember "Howzat"? ), a firm focus on quality pop music kept Epic going. Michael Jackson's solo career was their mainstay through the 80s, and the imprint is still occasionally in use today. The first Epic sleeve, ablaze in bright yellow. There are two logo variations -an oval 'burst', and a boxed circle. This sleeve shows the first of those, although it wasn't uncommon to have sleeve and label mismatched. 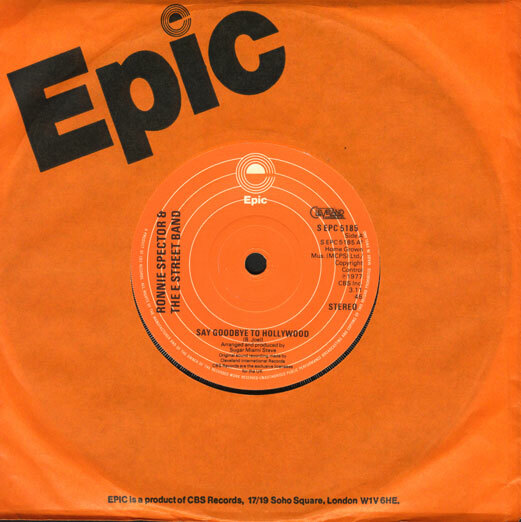 For a short transition period, it was common to find a mixture of logos: here's a smaller Epic oval on the sleeve, but the boxed circle on the label. The boxed circle logo stays on the label, as the sleeve turns dayglo orange and a large Epic print appears in the corner. Fontana was Dutch record and electronics company Philip's primary outlet for pop through the 60s. 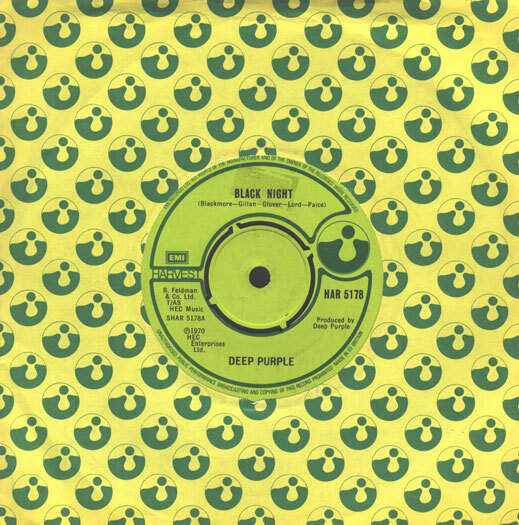 Although the label started with folk/jazz beginnings, with EPs from Dave Brubeck, Joan Baez and the like, it soon gained a reputation for beat-pop records. 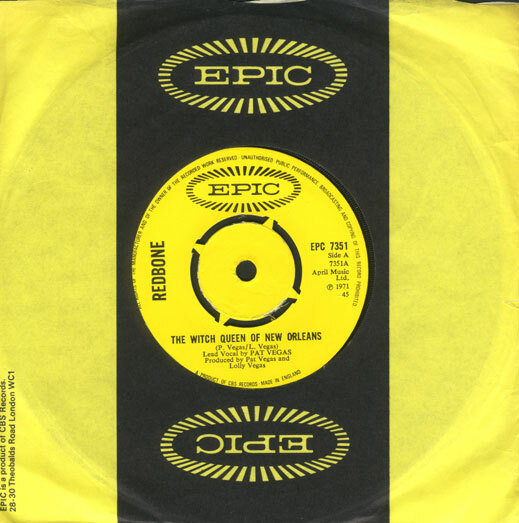 The Troggs, The Merseybeats, Spencer Davis Group and The Herd all recorded for the label. So did Wayne Fontana (but note he is apparently named after Jordinaire DJ Fontana, and not the record label!). The Fontana name has appeared on releases since : Tears For Fears in the 80s and James in the 90s. 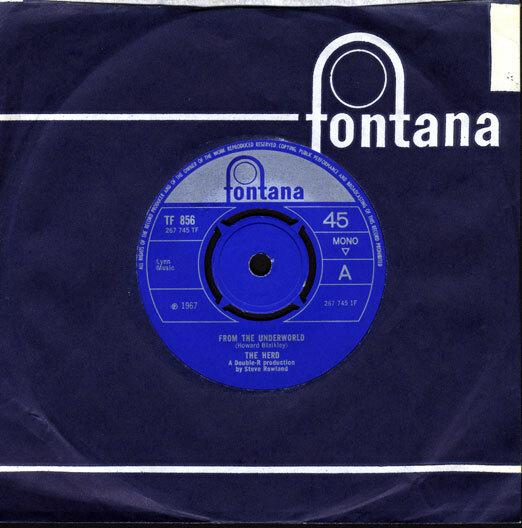 A standard dark blue Fontana sleeve from the later period of the label's heyday. Towards the end of the 60s, the major record companies saw the rise in alternative, psychedlic and progressive rock, and so they created labels to grab a piece of the action. While Decca had Deram and Philips had Vertigo, EMI had Harvest. The label saw the likes of Pink Floyd, Deep Purple and the Move release some of their finest works. Bizarrely, in the mid 70s, a number of disco-pop releases appeared on Harvest (remember Marshall, Hain "Dancing In The City" and La Belle Epoque's cover of "Black Is Black"?). Covered in Harvest logos, this yellow and green sleeve was one of the earlier Harvest designs. HMV stands for His Master's Voice, and together with the famous picture of Nipper the dog listening to a gramophone player, forms part of probably the longest standing trademark in recorded music. EMI owned the HMV record label, one of their chief outlets for (mainly) classical, easy and jazz music. But a few pop recordings did make their way onto HMV-branded sleeves: most notably, Elvis Presley's first UK releases, plus 60s beat from the Swinging Blue Jeans, Johnny Kidd & The Pirates and Manfred Mann. 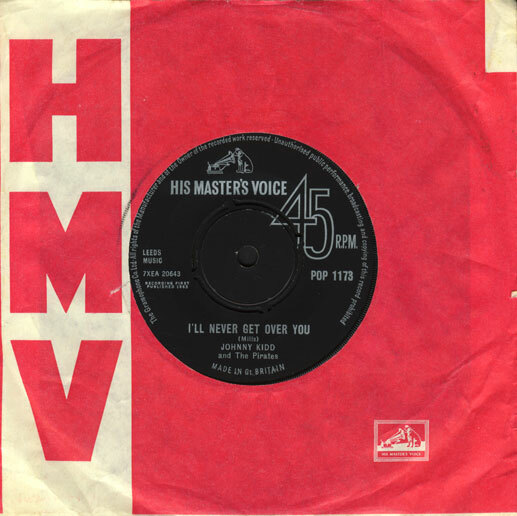 The HMV logo and name was never owned by EMI outside of Europe and ex-Commonwealth countries, and it is this lack of global copyright that caused the label to disappear (in favour of EMI Classics). Now the only place you'll see Nipper in the UK is on the HMV shops (unless you make the pilgramage to Kingston-upon-Thames, where a plaque marks his burial site near Lloyds TSB). 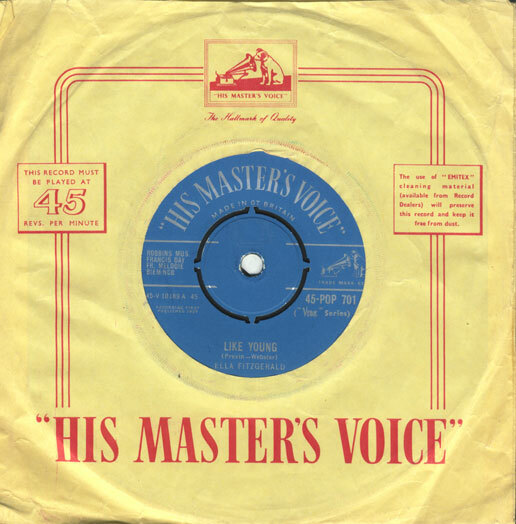 An early 7" design with smaller die-cut hole, this gold sleeve used in the second half of the 1950s is similar to the 78rpm HMV sleeve of the same era. The three Gramophone Company labels - Parlophone, Columbia and HMV - all featured dancing illustrations during the mid-late 50s. 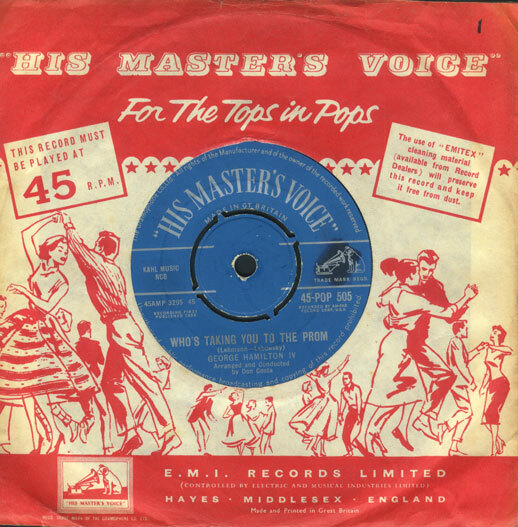 Here's HMV's version - it's the tops for pops! An interesting choice of muted colours are seen on this harlequin patterned sleeve, usually seen on records from the very late 50s and early 60s. 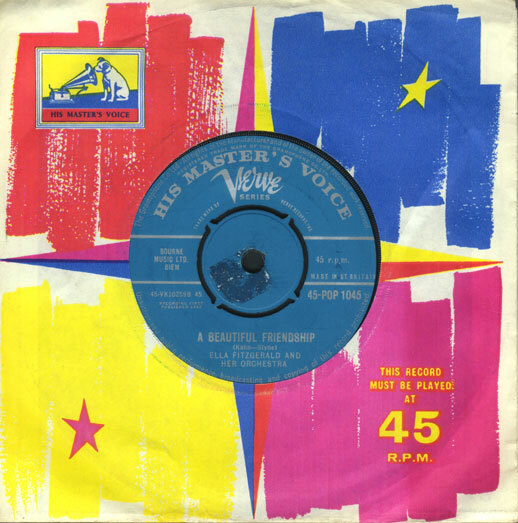 The next design divided the sleeve into four, and featured a new colourised Nipper logo. HMV licensed records from the jazz label Verve, and here the two names share billing on the central label. This simple design was the last HMV sleeve, with the standard EMI group black label and classic "45" numbering. Launched by Chris Blackwell in 1959, the Island record label spread far beyond its original Jamaican roots to cover many diverse styles of music. 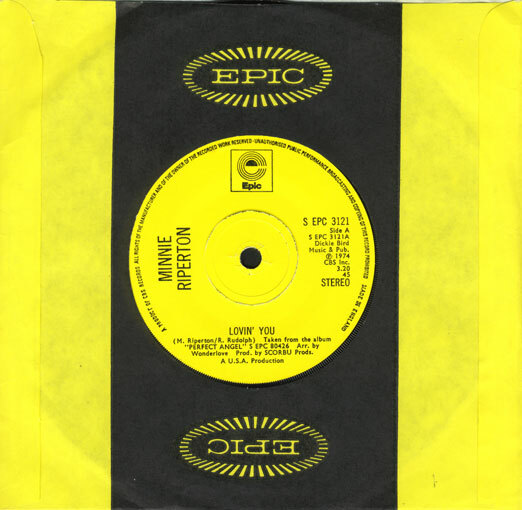 Early 60s releases in the UK included reggae and reggae-tinged pop, such as Roy C's "Shotgun Wedding", plus records from Steve Winwood's band Traffic (among some of the first UK picture sleeve single releases). Into the 70s and Island put out great music from Roxy Music, Cat Stevens and Sparks (produced by Steve's brother, Muff Winwood). The 80s saw further successes for U2 and Robert Palmer; unsurprisingly, the label's still going strong today. OK, so the sleeve's just a pink bag, but look at the label. 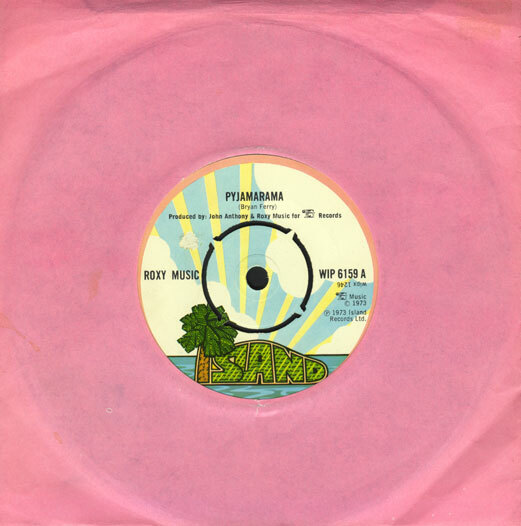 Island's iconic palm-tree logo was used in combination with the pink sleeve throughout the 70s. Towards the end of the 70s (this release is from 1979), Island switched to this blue and white ocean design. 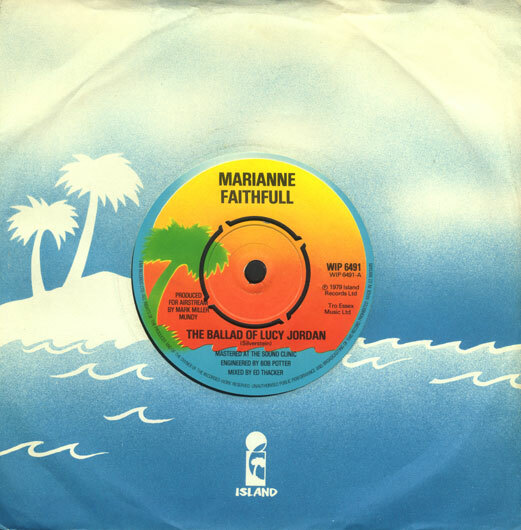 The palm-trees now feature on both the record sleeve and the label.